With this infrastructure, Black and White Live linked TNDV mobile production trucks and supported signal transport and communications across Philips Arena in downtown Atlanta, Infinite Energy Arena nearby in Gwinnett County, Georgia, and the Toyota Center in Houston. “Our hope was that during Passion 2016, students would have a seamless experience and forget that they were separated by hundreds of miles, and instead would be linked together with a single heartbeat. 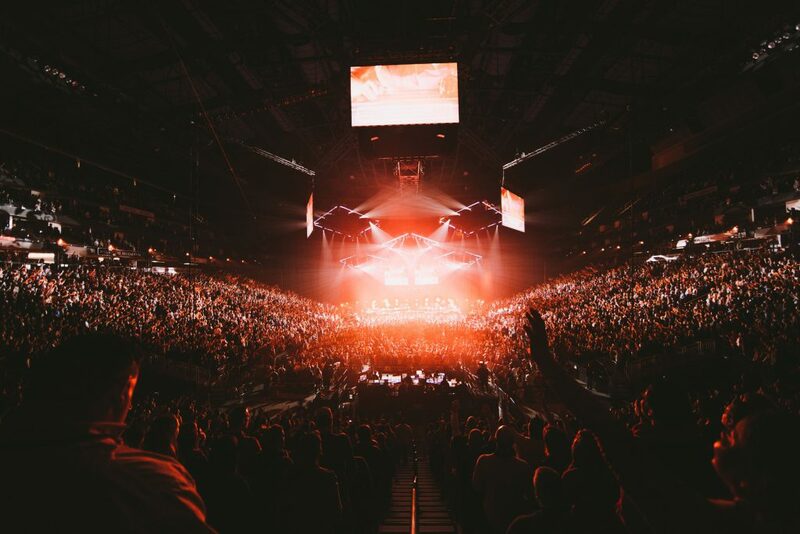 For this to happen, the technology had to work flawlessly and fade into the background, which is exactly what happened the first time the Riedel system went live,” said Jonathan Sheehan, director of events for Passion Conferences. 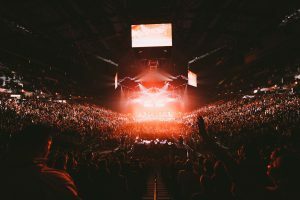 Over the course of the three-day event, pastor Louie Giglio, Passion Conferences’ founder, and several bands and worship leaders moved from one location to the next. 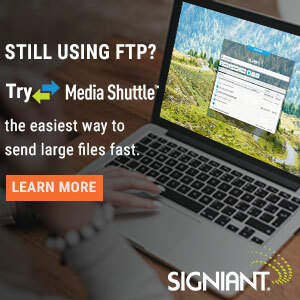 As they shifted between sites, members of this group interacted with one another remotely to ensure they could provide the same experience for every attendee, regardless of the venue. The Passion 2016 team took advantage of the intuitive routing capabilities of Riedel’s MediorNet and Artist to link the backstage green rooms so that the leaders located at each of the three venues could coordinate their speeches and make any last-minute adjustments before walking out on stage. 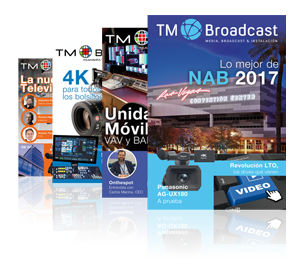 Managed from a single central site, MediorNet Modular units at each Passion 2016 venue enabled distribution of SDI signals, with embedded MADI audio, between the three locations. Black and White Live used Riedel’s Trunk Navigator system, along with Riedel Artist 64 systems deployed across the three sites, to establish temporary VoIP trunk lines between each venue and dynamically connect keypanels across all venues. 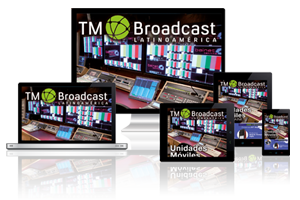 The trunked Artist system allowed for point-to-point communications between the venues, from any one panel to another, which in turn facilitated the detailed and complex communication needed to execute a coordinated event at three venues simultaneously. 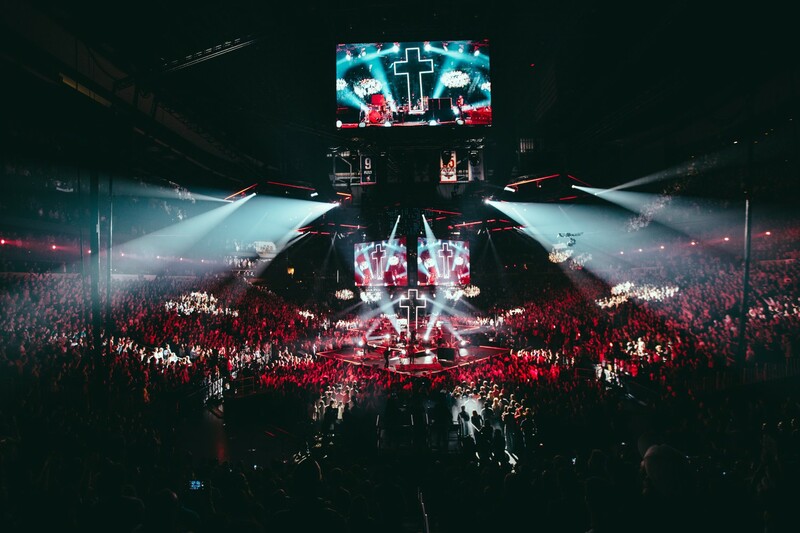 When tens of thousands of students and young adults gathered in January for Passion 2016, organizers relied on Riedel Communications equipment to enable seamless delivery of coordinated sessions, speakers, and worship music across the event’s three sites in Georgia and Texas. U.K.-based logistics and event management company Black and White Live used Riedel’s MediorNet real-time media network, Artist digital matrix intercom system, Trunk Navigator software, and an 800-mile fiber network to support the tightly choreographed event.